Where Henri Nouwen left off, Timothy Jones picks up, with a simple plan for ordinary folks to find spiritual fulfillment in their day-to-day lives. 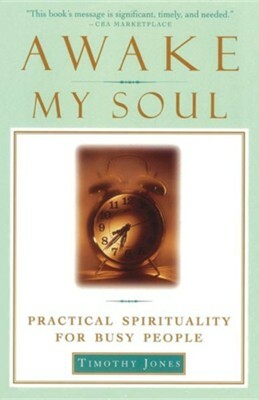 Where Henri Nouwen left off, Timothy Jones picks up, with a simple plan designed to help ordinary folks find spiritual fulfillment in their day-to-day lives. I'm the author/artist and I want to review Awake My Soul: Practical Spirituality for Busy People.